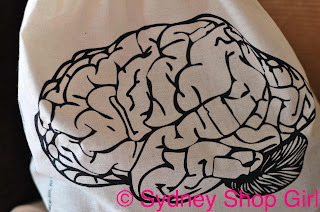 Sydney Shop Girl: Another Cerebral Sunday. Living (and Perhaps Loving) the Aesop Life. Malt-Easter. Baby Love. Another Cerebral Sunday. Living (and Perhaps Loving) the Aesop Life. Malt-Easter. Baby Love. hocRemember how I was lost in thought over the Sunday paper last week? And all that intelligent prose it inspired? Neuroanatomy buffs, did you spot the bottle shaped area (the Skincare Cortex) on the Aesop brain? 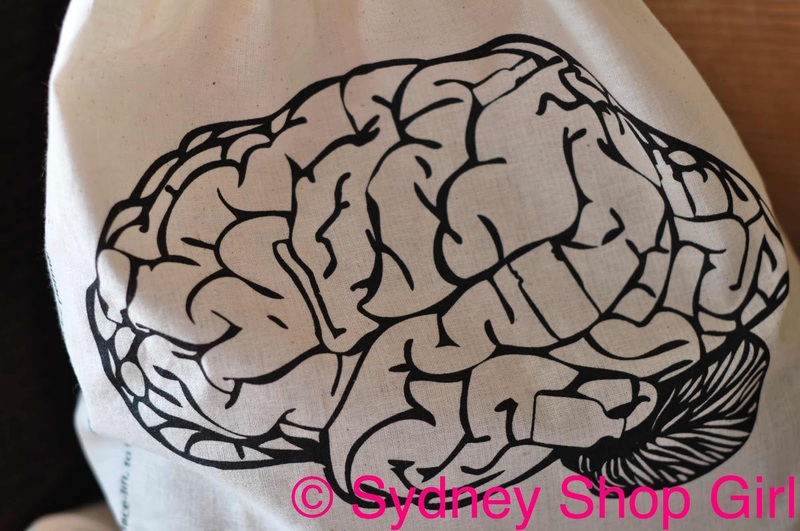 This Sunday, I took Cerebral Sunday literally with this geeky cool anatomical bag from Aesop. Underneath the mirror is a quote from Oscar Wilde, 'A map of the world that does not include Utopia is not worth even glancing at'. How true when it comes to booking holidays. But perhaps not for those times when you're trying to come to grips with current world events. I have rediscovered 'plant-based organics and non botanical elements', to quote the rather arty Aesop catalogue. I'm going on a hair detox. It's time to bid a fond farewell to the silicone rich world of Pantene and embrace rosemary leaf, lavender stem and tangerine rind. And for those days when my hair is needing a little more TLC, there are rose petals and beta carotene (by way of that melon coloured tube in the photo above). Does anyone else make major lifestyle changes for their hair or do I just have too much time on my hands? Don't answer that one. Who knows what impact the addition of Aesop to my hair will have on the rest of my life? The products are advocated as 'part of a blanced life that included a healthy diet, sensible exercise, a moderate intake of red wine (which I will substitute for with champagne) and a regular dose of good books'. People, let's make 2011 the year we all lead the Aesop life. 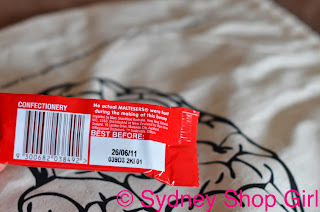 Just after I get my fill of these MaltEaster bunnies. There has to be some incentive to going to the servo on a Sunday, doesn't there? 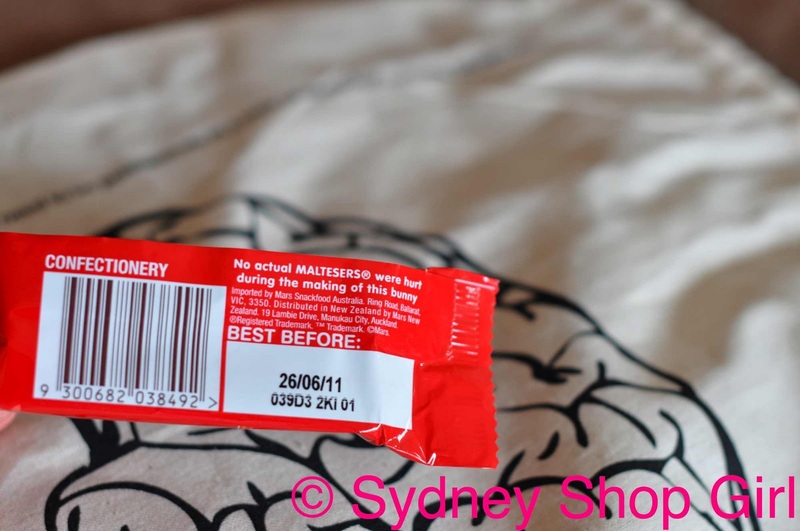 For the Malteser fans, these bunnies don't crunch when you eat their ears off first (that's also how I eat Caramello koalas, when it's Haigh's frogs - I just eat the whole head off first and there you have it). So now you know. The Malteser filling is soft and whipped and yes, no Maltesers were harmed in the making of the bunnies. But wait, there's more Easter food news. 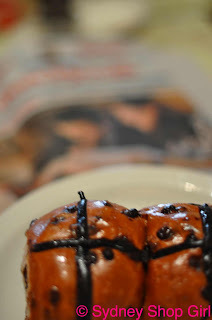 I'm continuing my state wide search for the perfect chocolate hot cross bun. 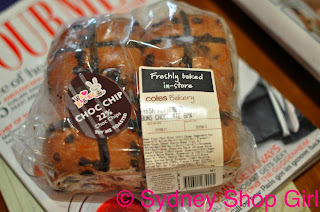 Today's are from Coles. 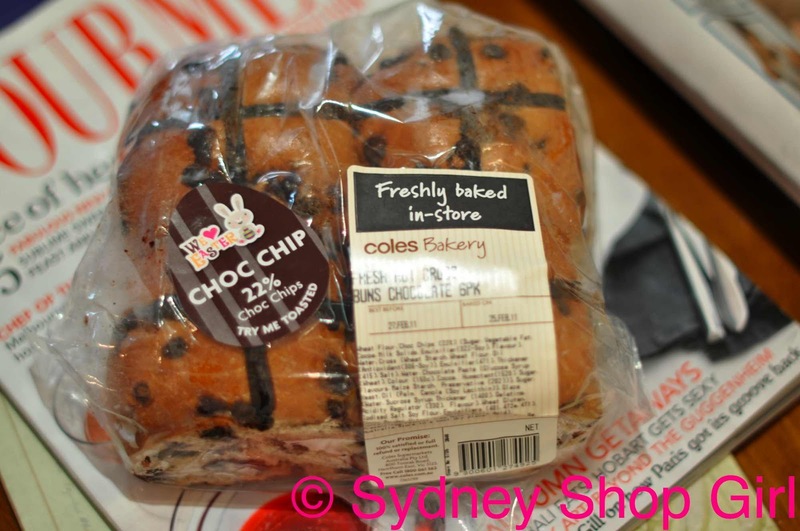 22% choc chip and at a dozen for $6, pretty good value. They are very good zapped in the microwave. Lots of chocolate and a well flavoured light dough. A perfect accompaniment to the Sunday papers which were running Princess Mary on the front page. Yes, there is an election in a month but it's a foregone conclusion. There's also the Oscars tomorrow (our time) but I agree, an Australian princess with twins and 16 staff (no wonder Princess Mary looks so relaxed) to care for the brood does take precendence. 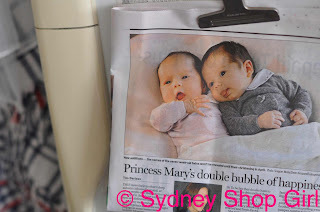 I don't really go weak at the knees over Royal baby photos, but aren't the Danish twins adorable? The photos are amazing. Very warm and relaxed. Some people may have photos of supermodels on their fridges to motivate them into making lifestyle changes but those babies were too cute not to take pride of place on the front of our fridge. PS: Galactic, I don't know if you've had a chance to read any blogs at the moment but BEST OF LUCK for 'the quiz'. Not sure if you're sitting it this year. Alternatively, if you're reading this after the event, hope it went okay. And enjoy the rest of the week of freedom. Those twins are too cure for words. I LOVE my Aesop brain bags, a few off us sport them at work - they're very fitting. Haaaaaaaaaaaahahahaa I can't believe I used the word 'sport' in that context and SO easily hahahaahaaa I must be getting old :/ :/ :/ I'd delete it but it's pretty funny. Mary and Frederick do the baby thing so well! Their clothes are to die for and Mary is the epitome of a loving mother look. I just want to say you enable me to get the Bayswater and I am seriously in love. What a coincidence - I have just rekindled my affair with Aesop yesterday - I used to use it, on recommendation from the derms - as a teen, and yesterday I stocked up on samples of Aesop. I also bought Modern Organic Products shampoo - it's sulfate free (Aesop is not). I also have hot cross buns. Not chocolate though. Must try. The royal bebes are so delicious! I chased Mr K around the house with the picture saying "LOOK! LOOK!! TWINS!!". He was not inpressed. I just want to squish their little faces! Divine! And I love their outfits. 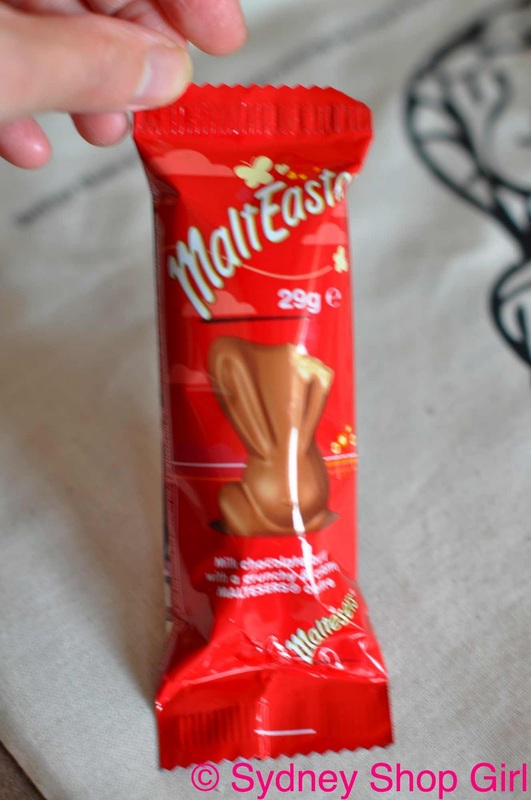 I'm a big fan of the Malteaster bunnies. They are too yummy for words. I had a Mars caramel yesterday - I son't rate it. Far roo sweet. You heard it here first. Kate B: good work on the Bayswater. Kitty: it's the same where I am. The allure of the royal baby portraits hold sway with only one person in our house. And it's not Mr SSG. Those babies are totally gorgeous. I love how Mary dresses her children. Will have to grab myself a Malteaster. Just because you made me.